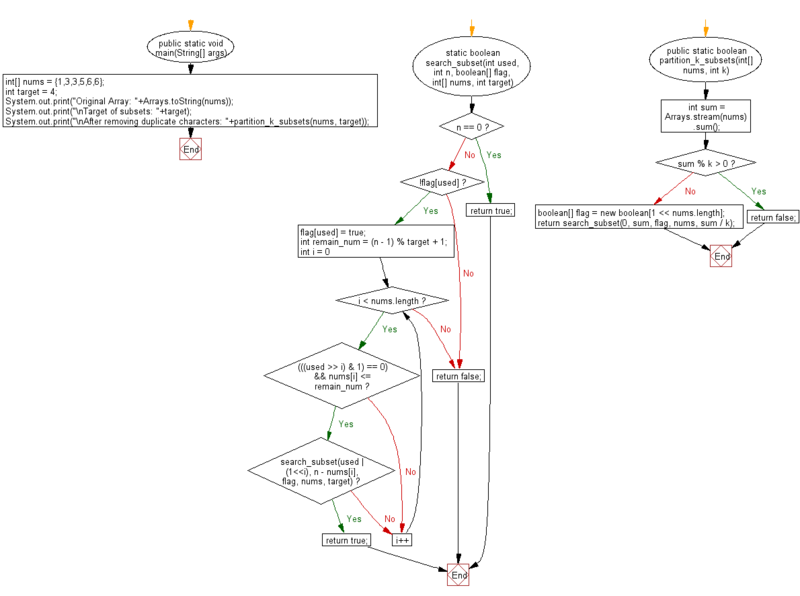 Write a Java program to divide a given array of integers into given k non-empty subsets whose sums are all equal. Return true if all sums are equal otherwise return false. 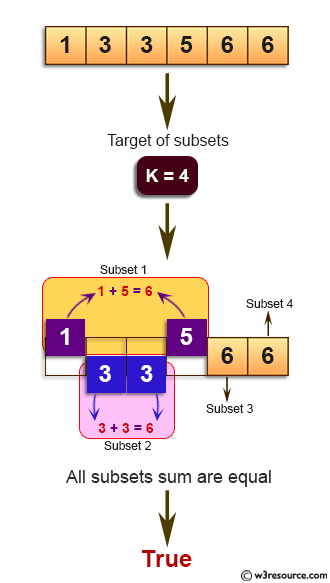 4 subsets (5,1), (3, 3), (6), (6) with equal sums. Previous: Write a Java program to remove duplicate letters and arrange in lexicographical order from a given string which contains only lowercase letters. Next: Write a Java program to find the total number of continuous subarrays in a given array of integers whose sum equals to an given integer.